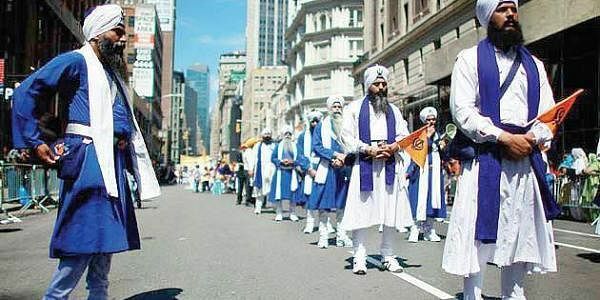 The Sikh-American community today urged the US Census Bureau to have a distinct Sikh category in the next 2020 census. WASHINGTON: The Sikh-American community today urged the US Census Bureau to have a distinct Sikh category in the next 2020 census, a Sikh advocacy group has said. Allowing Sikhs to self-identify in the 2020 Census would go a long way to making everyone count so that action can be taken to address bullying and hate crimes against the Sikh community, the United Sikhs said in a submission to the US Census Bureau. "Stereotypes fuelled by the media, discriminatory policies and corrupted public attitudes toward immigrants, especially since September 11, 2001, exacerbate feelings of bigotry that result in backlash against the Sikh community like never before,” United Sikhs argued, according to a media release. Noting that Sikhs can trace their ancestry in the US back to at least 100 years when many came to California to work on the railroads, it said that then also like now, Sikhs faced bias, racism and xenophobia. "Yet, to date, they are grouped into a general Asian- Indian category in the US Census and this ignores their unique circumstances," it rued. Census to provide funding in order to address civil rights violations; and it is well known that the Sikh community has disproportionately suffered backlash, hate crimes and bullying since September 11, 2001. Studies estimate that at least half of members of the Sikh community have been bullied, harassed or even assaulted at some time in their life because of bigotry and xenophobia; it said, asserting that Sikhs meet the criteria for representation in the Census as a distinct ethnic group.